The Vunga wet mill was built in 2009 as part of Technoserve’s coffee initiative, a collaboration that ended in 2011. During this time, Tecnoserve helped out with trainings, marketing, finding other stakeholders to support Vunga with various coffee production material and processing machines, like the ecofriendly Penagos depulping machine. A solid base and infrastructure for consistent quality production was laid during these days. Prior to the formation of the producers association in January 2009, Vunga coffee farmers processed their coffee cherries naturally at their homes since they were too far away to deliver coffee to a washing station. For these farmers, the combination of remote farm locations, poor infrastructure, and low quality processing meant very low prices. Luckily, this situation changed! Vunga washing station is located in Rwanda’s Western province, high in the hills of the Virunga mountain range. Virunga is a branch of the Albertine Rift, also called Western Rift Valley, and consists of eight major volcanoes. 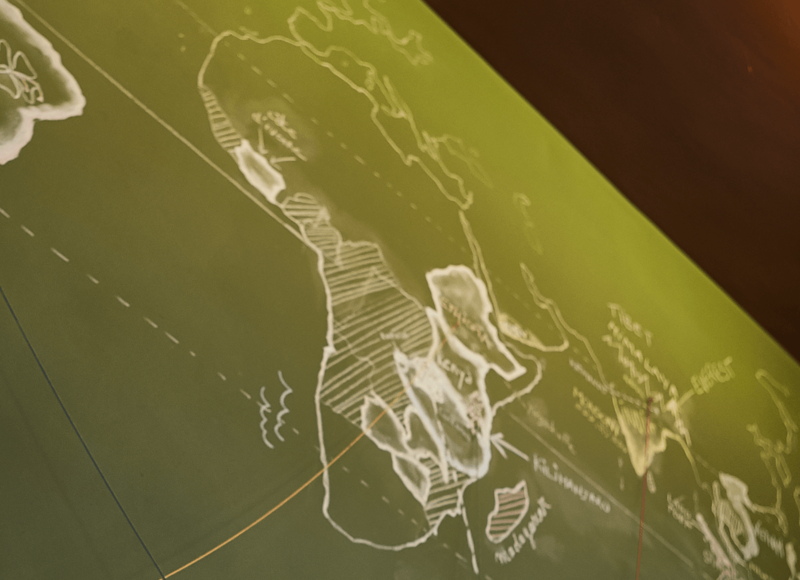 The mountain range spreads over Rwanda, Uganda and DRC. Apart from the central washing station location, Vunga has 12 sites for cherry collection. Farmers who live too far away from the washing station to deliver their fresh cherries can sell them here to the washing station’s collector representative. Cherries are generally transported by bike. Vunga has 248 farmer members delivering cherries, and 925 non-members. These are typically smallholder farmers with an average of 200 Bourbon trees. The high altitude growing area around Vunga washing station has fertile sandy-loam soils which get drained by the nearby Mukungwa and Nyabarongo rivers. At the washing station, the quality of the farmer’s harvest is quickly inspected by weighing and flotation to determine his payment. In the next step, great attention is paid to the ripeness of the cherries before loading them in the depulping machine. Washing station manager Emelyne Niyonshuti keeps a close eye on separating cherries to a different degree of maturation to ensure an ideal post-harvest process. The Penagos machine can be set a lot more precisely to pulp when all cherries are evenly mature. This prevents coffee bean damage, typically occurring during wet-milling. After pulping, the parchment rested in Vunga’s 4 fermentation tanks for 13 hours to break down the mucilage. Any remaining mucilage is washed off in clean water afterwards, to make sure the beans don’t ferment any further on the drying beds. While still wet, the quality of the parchment is inspected on the covered pre-drying tables. When the parchment is still wet, it is easier to spot defective beans and to take them out. The three Vunga lots we sourced this year were harvested early on in February. The lot numbers correspond to the fermentation tanks. Vunga’s harvest season fell a lot earlier in the year due to different climate circumstances. Drying the parchment took as long as two months, as the region was experiencing a rainy season and the parchment on the drying tables was covered during most of the day. The beans received a maximum of 4 hours of direct sunlight per day. Coffee was introduced into Rwanda by German missionaries in 1907 and by the colonial Belgians in the 1930s, who enforced coffee as a compulsory crop on free lands. Huge plantations were built, generating enormous volumes of coffee for which the Rwandese lacked proper washing and processing infrastructure, leading to the association of Rwandese coffee with low qualities and low prices. By the 1980s, prices were dramatically low. Not much later, the blackest spot in Rwanda’s history followed during the tragic beyond words civil war and horrific genocide of the 1990s, leaving the country’s economy destroyed. When peace returned to the country, the new leaders steered the country away from conflict, promising the people such horror would never happen again. New strategies were adopted to ensure peace and stability. The government saw the potential of the coffee industry for the country and adopted a new policy for development of the industry, which aimed at increasing coffee quality and production to the earlier levels of 45,000 tons per year. With the premiums received for better qualities, the coffee sector could contribute to the growth and prosperity of the country, while at the same time creating new jobs. A new strategy was developed in 2002, which focused heavier on internationally positioning Rwanda as a quality coffee producer, as these prices remained more stable in the international market. With government support, new coffee washing stations were built and the existing coffee processing infrastructure was improved. The capacity to wet process the cherries increased greatly and the perception and position of Rwandese coffee on the coffee market went up. Since Rwandese coffee was traded at better prices, farmers saw the value of coffee production again. The current focus of Rwandese coffee production is both on fully washed and semi-washed “ordinary” qualities, with the majority being fully washed coffee. The industry recognized there’s no use in fully washing the lower quality cherries, as this doesn’t improve the cup quality anyways and lowers the washing station productivity. Programs have been created to further develop the national coffee industry in key areas like production, processing, sales and marketing, research and development, infrastructure . In the recent, politically stable years, Rwanda’s economy has grown impressively and things are looking great for the progressive East African country. Many challenges still remain, both infrastructural and quality-related, but the international appreciation for Rwandese specialty coffee is growing fast. Competitions like Cup of Excellence and Gold Cup have contributed greatly to the image of Rwandese coffees. An increasing number of specialty roasters are discovering the often intense and fascinating flavour profiles found in Rwandese coffees.